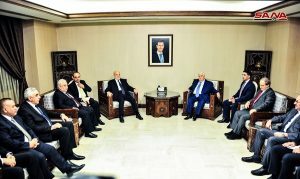 Damascus, SANA – Deputy Prime Minister, Foreign and Expatriates Minister Walid al-Moallem met on Sunday evening Iraqi Foreign Minister Ibrahim al-Jaafari and the accompanying delegation. 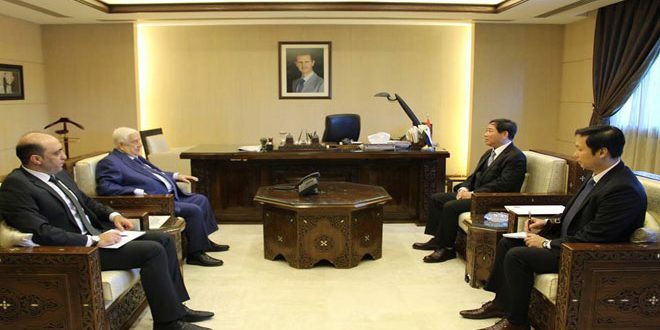 The two ministers discussed enhancing the existing cooperation between the two countries in counter-terrorism efforts, and exchanged viewpoints regarding regional and international issues and developments. 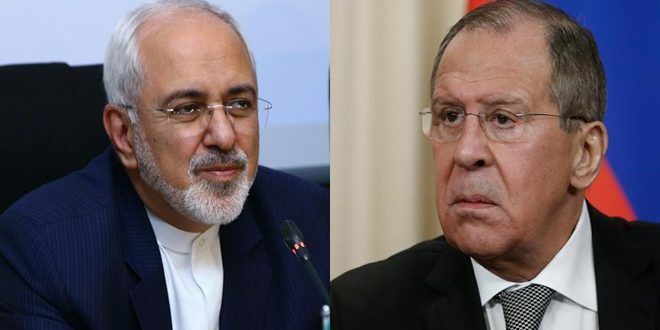 The two sides affirmed the strength of the fraternal relations and cooperation between the two countries and their people, stressing the need to enhance them further in all matters of mutual interest. They also affirmed the need to reopen border crossings to improve the flow of goods and facilitate traveling. 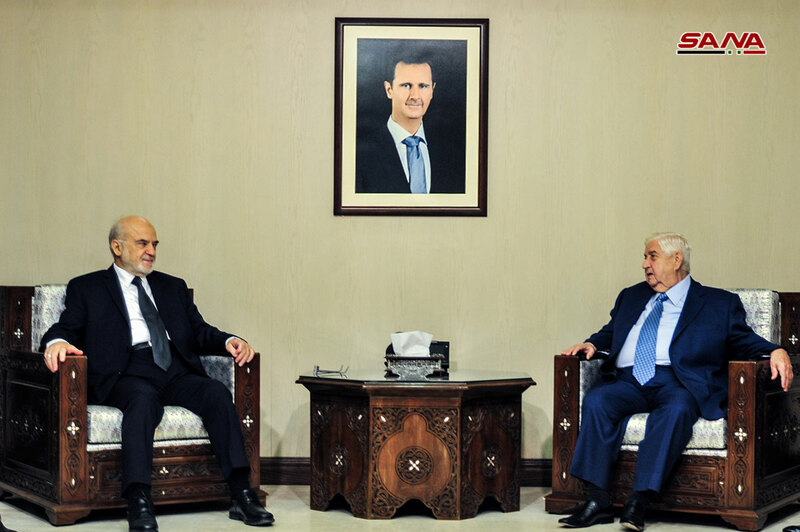 Al-Moallem lauded Iraq’s positions in support of Syria, saying that the two countries stand together and face the same challenges, calling for continuing to develop bilateral relations and coordination. 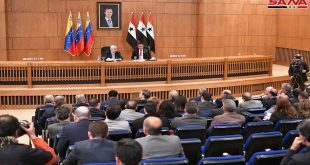 In turn, al-Jaafari asserted the strength of Syrian-Iraqi relations, and that the Iraqi people will not forgive what Syria offered to the Iraqi people during the crises it went through. 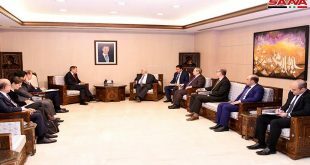 He said that Iraq will continue to support Syria, and that it looks forward to enhancing coordination and cooperation and to resuming economic relations and trade in a way that is better than it ever was. 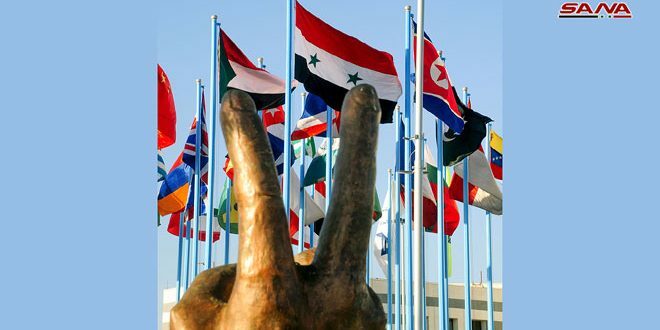 Al-Jaafari said that the countries of the region and the world are starting to realize the truth about the Syrian position, what is happening in Syria, and the fact that the Syrian people paid the price of fighting terrorism on behalf of the world. 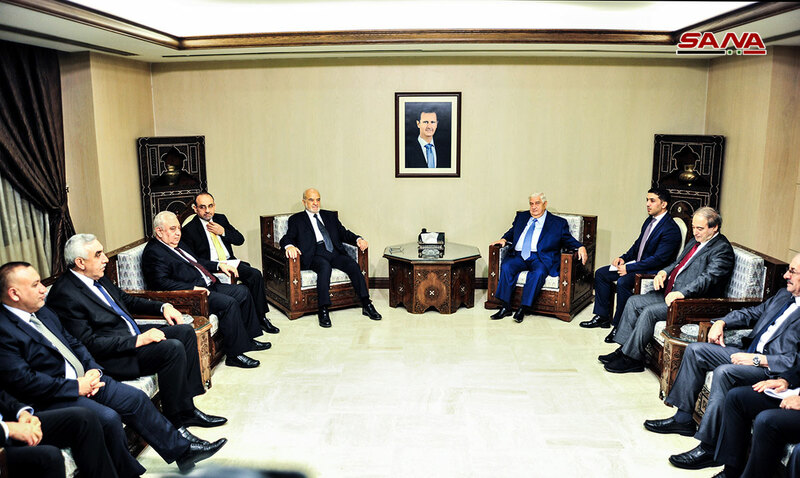 The Iraqi Minister wished for the return of security, stability, and prosperity to Syria and its people. 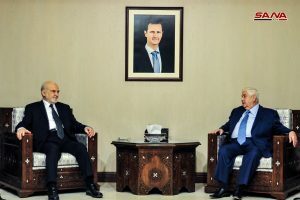 Al-Jaafari arrived in Damascus on Sunday morning for a three-day official visit upon an invitation from al-Moallem. 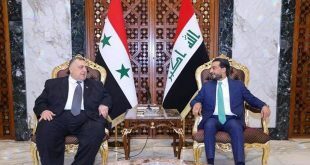 The Iraqi Minister will meet during this visit senior state officials and discuss bilateral relations with them, in addition to reviewing regional and international issues of mutual interest. 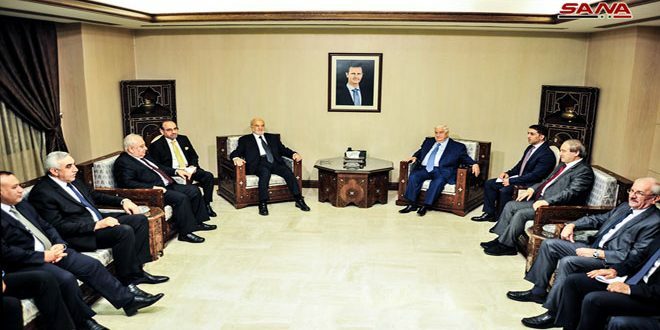 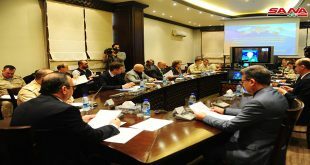 Minister al-Jaafari and the accompanying delegation were received at Damascus International Airport by Minister al-Moallem, a number of officials from the Foreign and Expatriates Ministry, and the Iraqi Ambassador in Damascus.